Undoubtedly, all adventurous mountain lovers have heard of the effective and risky work of the GREIM, the highly qualified civil guards of the Rescue Groups and Mountain Intervention of the Benemérita. Created in 1981 (as heirs of the former Groups of Skiers-Climbers, later Special Rural Groups of Mountain Intervention, since 1967), today they are outlined as a benchmark of professionalism and efficiency in Spain and beyond our borders. Its fundamental mission consists in the rescue of lost, isolated or injured people in mountain areas, underground cavities and in those other environments that, due to their special orographic or climatological difficulty, require clear techniques of climbing, caving, mountain rescue, skiing , Lifeguards, basic life support, etc. They also ensure respect for the environment and the maintenance of public order (ski runs, sports competitions …) in medium and high mountain, also exercising as judicial police in this area and as mountain troops. Their specific training has a high level of professional, physical and psychological qualification (endorsed by a specialist diploma in constant renewal and improvement), which has been taught since 1981. at the Mountain Specific Training Center (CAEM) , Candanchú-Huesca), an international reference to which they accede after having passed the demanding tests required for that purpose. The groups of specialists (GREIM) are strategically distributed by the main mountainous masses of the Spanish geography: Jaca, Cangas de Onís, Viella, Navacerrada and Granada; Of each of them depends, in turn, a variable number of teams distributed by all the autonomous communities, in bases stationed from Benasque to Santa Cruz de Tenerife. Since 1981 – the year of the beginning of the statistical series – to date, GREIMs have performed 20,000 interventions, constantly increasing in recent years. In these 35 years, apart from the thousands of unscathed, they have rescued 11,500 injured and 2,600 deceased (500 of them only in the last five years). 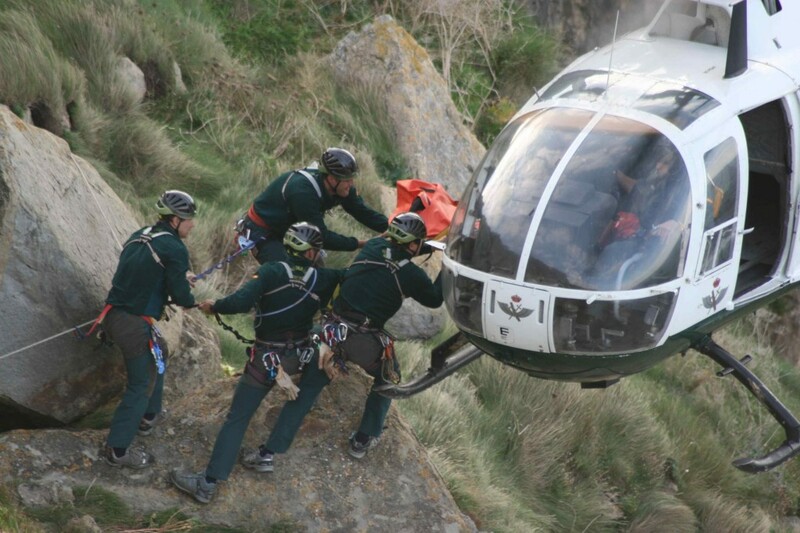 They count with the invaluable collaboration of the material resources (such as Eurocopter EC135P) and the expertise of experienced pilots and crews of the Civil Guard Air Service (SAER). They also have a Competition Team that represents the Body – since 1960 – in mountain sport competitions and which, at present, consists of the sections of biathlon-bottom and ski-mountaineering. In 1999 the Expeditionary Alpine Group was created, that in 2003 crowned the Everest. In 1992, CISA (International Commission on Alpine Relief) recognized them as one of the four best teams in the world in their environment, along with France, Switzerland and Austria. I hope you never need them, but in that case, call 062 and you will be in the best possible hands. Serve this post as gratefulness and recognition to the excellent, risky and selfless work of these great professionals, some of whom gave their lives to the service of all Spaniards.